A very important box arrived via FedEx today. 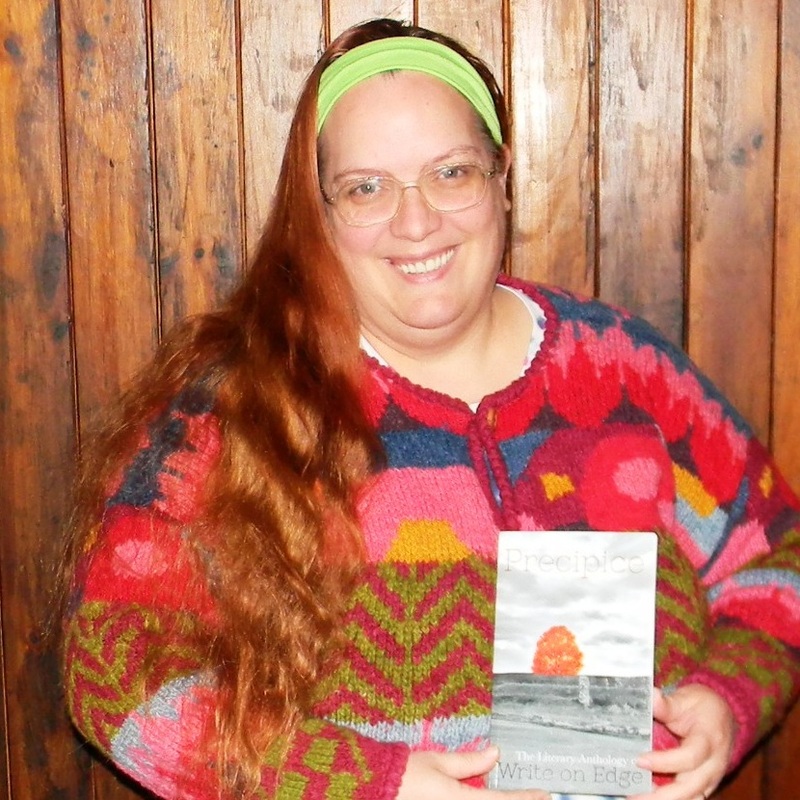 Two copies of Precipice, the Write on Edge anthology! My short story Abandon appears in this book. It is my first published work. I knew several months ago that my story was accepted, then in October I received an electronic version of the book, and on the release date a few weeks ago we went out to dinner to celebrate. But none of these events compared to the feeling of holding the physical book in my hands. I’ve been interviewing several of my anthology mates. Some of them have been published before. Others, like me, are seeing their name in lights for the first time. For some, being published was a nice tip of the hat, but not part of any grand plan. For me, Precipice is the edge, the tipping point. I have been taking my writing very seriously for a couple of years now, with regular blog posts and a growing web presence. I have several rough drafts of novels, and from here I plan to polish and refine the best of them and submit to an agent and/or publisher. The other big thing going on is my entry in the America’s Next Author contest. This week I’m doing my big push for the contest. Please, pretty please with hot fudge on top, click the picture then click VOTE! It does not require a log-in, although you do have the choice to read and/or download my story, and you can select an adjective from the drop-down list to describe my story. There is also an area where readers can leave a review, which requires a simple log-in to the site. I would be extraordinarily grateful to anyone who left me a review! This entry was posted in Commentary & Musing and tagged #ANA2012, #WOE, #WriteOnEdge, Abandon, America's Next Author, Precipice, Write on Edge. Bookmark the permalink. Congratulations! Good luck on your next steps. Congratulations! I look forward to reading it. I’ll start by reading your American’s Next Author submission. Cheers!